ICC today welcomed the renewed strong representation of business in the Multistakeholder Advisory Group (MAG) responsible for steering preparations for the 8th Internet Governance Forum (IGF) – an open forum for policy dialogue on issues of Internet governance. 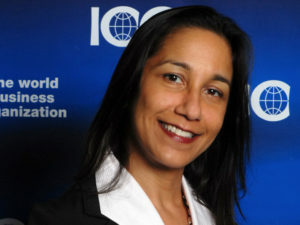 Nine members of ICC’s Business Action to Support the Information Society (BASIS) initiative secured a place on the MAG, a special advisory group to the UN Secretary General representing Internet interest groups from governments, business, civil society and the Internet technical community. In addition, ICC BASIS members Ankhi Das, Head of Public Policy, Facebook, India; and Patrick Ryan, Policy Counsel, Open Internet, Google USA; were added to this year’s MAG. The United Nations confirmed 56 MAG members overall. The IGF was established to fulfill one of the commitments laid down by the second World Summit on the Information Society (WSIS), which took place in Tunis 2005. The inaugural meeting of the IGF took place in Athens, Greece in 2006. As one of the major outcomes of WSIS, the IGF provides a unique opportunity for all stakeholders to discuss issues of crucial importance to the global development of the Internet. The 8th IGF will be held from 22-25 October 2013 in Bali, Indonesia. For more information on the IGF or details regarding the draft programme and schedule, please click here. A complete list of the 2013 MAG members is available here.